At Cargo Tarp and Net Manufacturers we are your one-stop-shop when it comes to high quality, robust cargo nets in Johannesburg and Durban as well as the personalised, digital printing of your tarp covers. We are also manufacturers of a range of other nets, tarp and taut-liner covers as well marquee tents, trailer covers, tipper covers, slop trailer covers and boat covers! If you’re looking for top-of-the-range bakkie nets in Johannesburg or Durban, we are your go-to! As some of the finest cargo net manufacturers in Johannesburg and Durban, you can be guaranteed we have your load covered. Why use a cargo net? 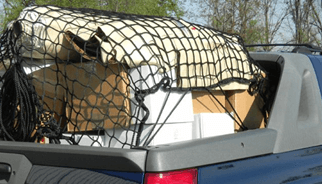 While there are a myriad of uses for cargo nets – the most obvious would be to secure items in place in a truck or bakkie, when travelling long distances – bakkie nets are also highly useful for smaller loads. Heavy duty cargo nets can also be used to lift up heavy goods into a container, such as for shipping. These cargo nets are attached with cinches at each corner, which are then attached to a crane hook which lifts the net up to create a basket, transporting the cargo into place. Cargo nets and tarps can be used to cover and restrain a number of oddly shaped, loose items or materials during travel, which would otherwise be difficult to secure with any other kind of tie-down material. 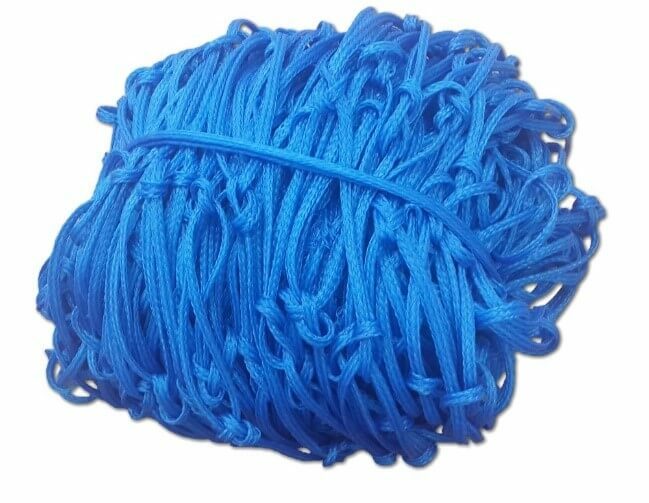 As top cargo net manufacturers in Johannesburg and Durban, our nets are made from top-of-the-range cargo netting material to form a network of cords which cross over one another to form a strong and sturdy netting product. Our cargo nets are also created with an element of stretchiness, allowing for the natural movement of products and materials during transport, so as to ensure your load arrives safely and intact at its destination. Essentially, our cargo nets and bakkie nets work to eliminate the element of stress while travelling, offering you peace-of-mind that your goods will arrive as safely as possible. Our nets can secure multiple, oddly shaped items as one load, instead of having to secure each item separately. How can cargo nets be used? 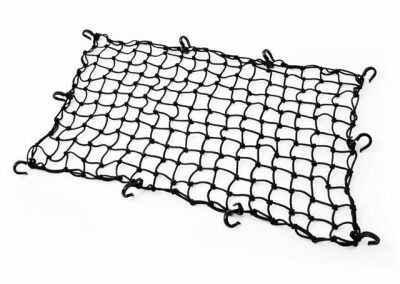 As a premier cargo net manufacturer in Johannesburg and Durban, with many years of success to our name – our cargo nets are made to order for all your specific needs. 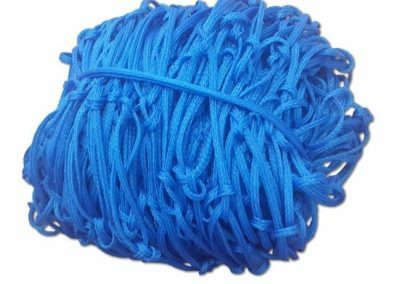 Generally, our cargo netting material is manufactured to suit all types of loads, from light, domestic loads, to heavy duty, industrial loads. 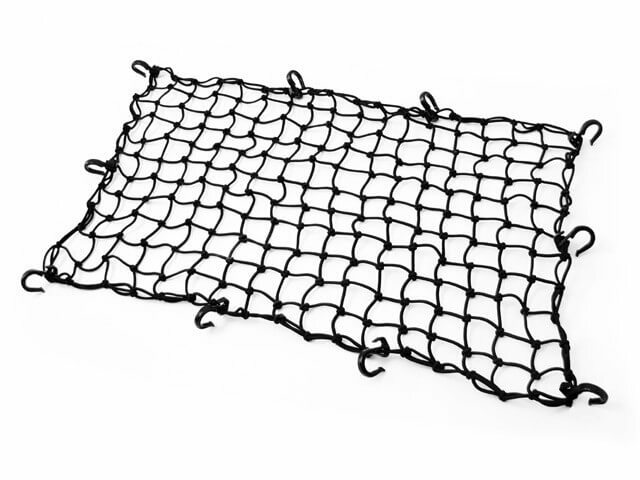 Our bakkie nets can also be used to secure luggage, camping equipment, boxes, cooler boxes, furniture and more to bakkies and trailers, while our heavy duty cargo nets can be used to secure goods to trucks, truck trailers, cargo carriers, truck beds and more. For high-quality cargo nets in Johannesburg and Durban, Cargo Net and Tarp Manufacturers have their thumb on the pulse of the cargo net manufacturing sector. We understand the needs of our clients and go out of our way to achieve it. Looking for cargo nets for sale in Durban? Get in touch with us for your ideal shape and size to best suit your load!